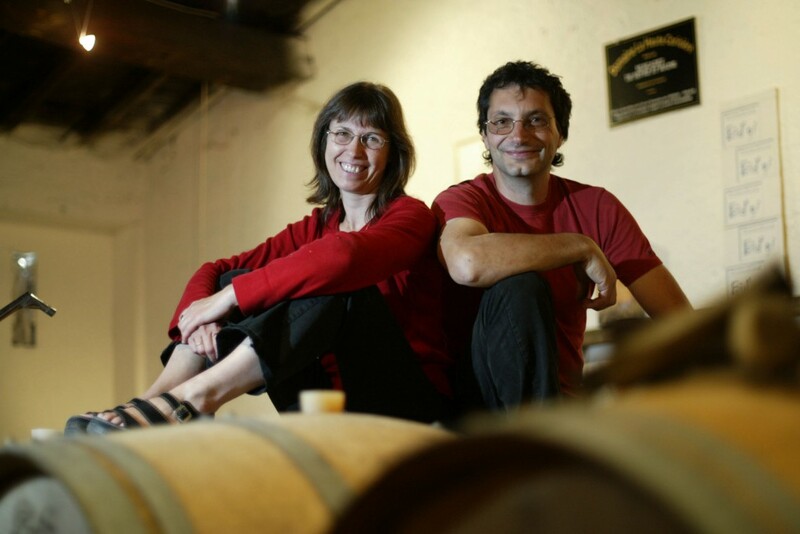 Bid’gi is a domain of 35 Ha managed by my wife, Marie Béatrice GIRAUD, and me, Daniel BIDEAU. Located in the heart of the wine-growing region of Nantes, at la Haye Fouassière, we produce differents Muscadet Sèvre et Maine sur Lie with Terra Vitis method, environmentally sustainable agriculture certified, and we have also 8 Ha in organic farming. Our vineyard is located on the former Armorican Massif, facing south-east, the soil is composed of 3 different soils: orthogneiss, amphibolites and Micachiste giving wines of character. Our wines are made “sur lie” this Nantes’s method consists in let it rest on the Muscadet filing fermentation all winter without racking or filtration which brings richness to the wine. Our Muscadet Sevre et Maine sur Lie is fruity, elegant and fresh with a long finish on the mineral. For quality wine recipe is simple: Work vine closest to the land, harvesting a ripe vintage, very healthy and vinification “sur Lie ” guided by the idea of keep the terroir effect. All our wines are carefully made at the property which allows us to offer a wide and varied range to meet your needs.